Up to 40% of the families in your community are blended families. 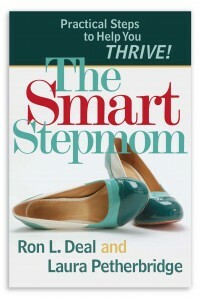 Join Laura, and her co-author of The Smart Stepmom, Ron Deal at the Stepfamily summit where you will find everything you need to know about how to reach stepfamilies in your church and community. She will be a keynote speaker and leading workshops. Join a growing movement of leaders, pastors, counselors and lay leaders by learning how to effectively and consistently minister to stepfamilies. Whether you are brand new to blended family ministry, or you have been doing it for years, this event will encourage and equip you. The 2018 Stepfamily Summit in Little Rock, AR will focus on parenting in complex families.